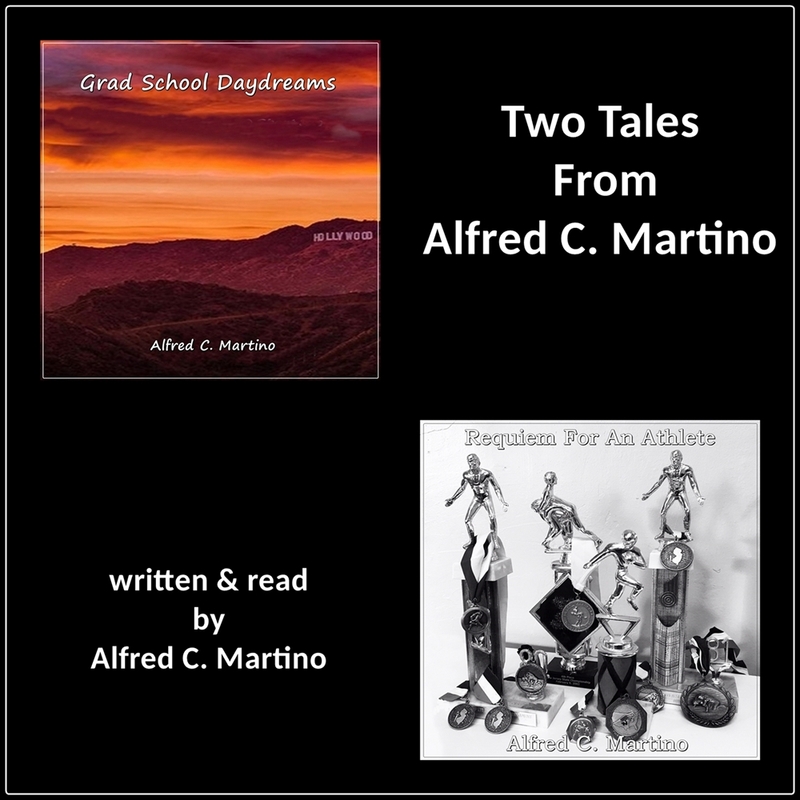 "Two Tales From Alfred C. Martino" includes two short stories from opposite ends of the emotional spectrum. The first, Requiem For An Athlete, is a somber look at the unfulfilled expectations of a once-great athlete. Grad School Daydreams, on the other hand, is a whimsical tale, set at a Southern California university, of a grad school student who daydreams and pines for a beautifully exotic woman sitting next to him in class.